Have you ever needed to do something important on your iPhone or iPad only to find out that you forgot to charge your device? 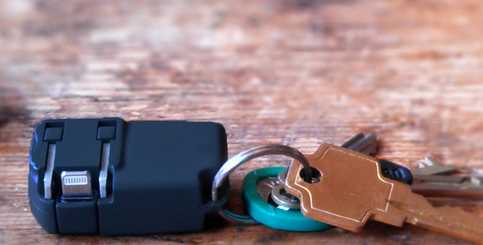 Getting a decent charging station lets you keep your gadget charged at all times. The PowerDock 5 is not your average dock though. 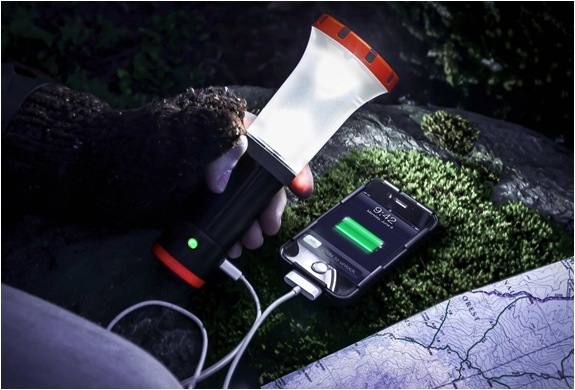 It can charge up to 5 iOS devices at the same time. It has a space saving design and makes charging multiple iPads and iPhones less painful. Griffin’s PowerDock 5 is optimized for iOS devices but may be able to charge Kindle and other comparable gadgets. This charging station has backrests to hold your devices. Each charging bay offers 10 watts. The PowerDock 5 is compact and fits nicely in small offices. Not everyone needs a dock that can hold 5 iOS devices. 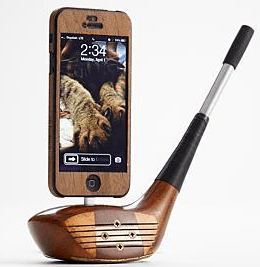 This Golf Club iPhone 5 Dock is a unique accessory made using a vintage golf club. Each one of these is unique. The dock has a Lightning cord and syncs/charges your iPhone 5. Works with standard Apple bumper cases too. This elegant Golf Club Dock makes a great gift for the golf lover in your life.